Starting today, November 27, 2015 through Cyber Monday, November 31, 2015 Project Fi will be offering special holiday deals. So far the only one I know of at this time is the Nexus 5 X will be offered through the Project Fi website for an astounding $80.00 off of retail price. That would make the newly released Nexus 5X starting at just $299. 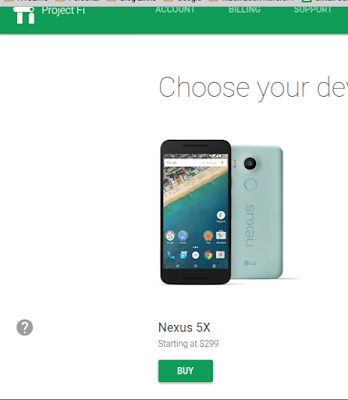 Click the phone below to purchase directly from Project Fi.